Easier Moulding, Recessed and Standardised design. 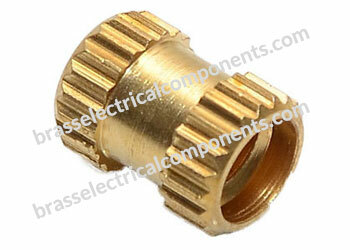 A longer length insert to cope with variation in bolt length and clamping thickness. Excellent performance in foam materials where flashing is a greater problem due to the searching nature of the plastic. Also available in Thermoplastic and plastic mouldings. 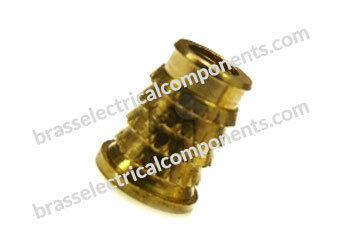 Brass Moulding Inserts are designed to be installed onto a plain pin in the mould tool. The molten plastic flows around, and engages with, the external form during the moulding process. Provides excellent pull-out performance and resistance to rotation. For Plastic vary from communication equipment, the automotive industry, computer industry, and anywhere where strong durable threads are required in plastics. Available with or without head and suitable for heated or cold press-in installation into plastics. 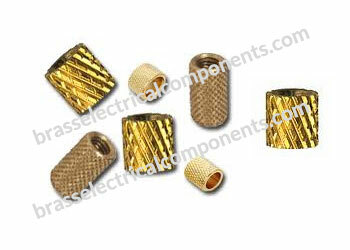 Brass Straight Knurled Inserts is One piece through-hole insert. It can be molded / plotted-in. A straight Knurl provides torque out capabilities. Available unheaded, headed and reverse headed. Used in PEX hot and cold water plumbing application. Extensively used for plumbing and radiant heating system. 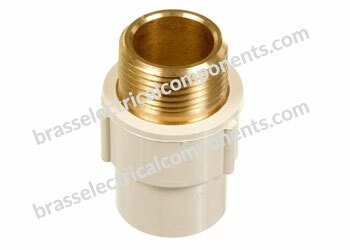 Available in male and female inserts for PPR fittings. Imperial thread sizes and different studded versions also available. 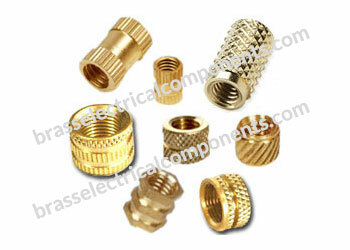 Brass Helical Knurled Inserts are compact inserts suitable for insertion in all types of plastics and can be used with hot plastic Moulding and cold plastic molding. 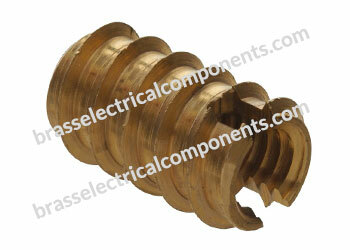 Brass Helical Inserts are best suitable for electrical moulded box application. 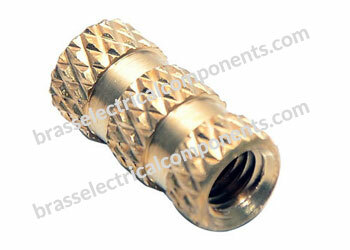 Brass Hexagonal Insert with blade-like self tapping external thread designed to reduce installation forces into harder materials. 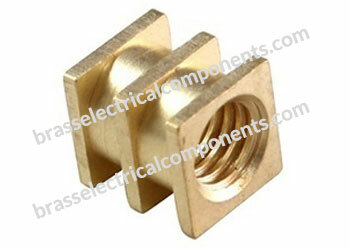 Brass Hexagonal Inserts give high tensile strength, excellent resistance to corrosion and good electrical conductivity. 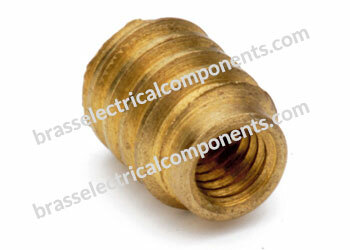 Brass Self Tapping Inserts for cold-set installation into soft plastics, wood, fiberboard and composites. Brass Self Tapping Inserts give high tensile strength, excellent resistance to corrosion and good electrical conductivity. For Wood vary from communication equipment, the automotive industry, computer industry, and anywhere where strong durable threads are required in wood. With sealing flange to limit insertion depth and tidy the pilot hole, and unthreaded external lead to aid installation. Screw-in threaded insert with blade-like self tapping external thread designed to reduce installation forces into harder materials. For Wood and Plastics vary from communication equipment, the automotive industry, computer industry, and anywhere where strong durable threads are required in wood and plastics. 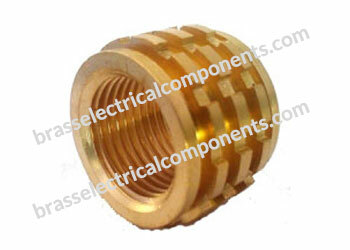 Brass Tappex Type Inserts Brass Molding Inserts Brass Inserts Plastic Molding inserts are used with plastics and soft woods. They are available with serrated grooves and are push fit type. For use in straight holes. Press In installation eliminates the need for heat or ultrasonic. 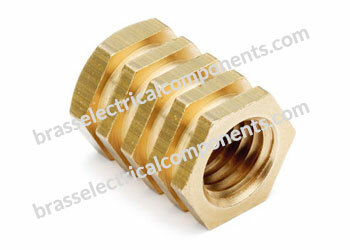 Brass Cross Knurled Inserts give high tensile strength, excellent resistance to corrosion and good electrical conductivity. 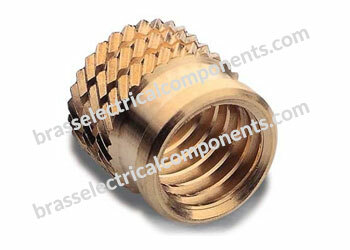 Cross Knurled Inserts are suitable for installation with wide range of Thermoplastics. A Cross Knurl provides torque out capabilities. Use where high pull out resistance is required. BSP/NPT Threaded Inserts give high tensile strength, excellent resistance to corrosion and good electrical conductivity. BSP / NPT Threaded Inserts are suitable for installation with wide range of Thermoplastics. Weather, moisture & chemical resistant.